Technique: Investor purchases same security over a long period of time, continues to buy and hold the same security through the ups and downs of the market until s/he needs to sell it to support retirement. Investor NEVER, EVER sells the security until the proceeds of the sale are needed during retirement. Problem: Identifying a security that is safe to hold over a long period of time; one that can’t go out of business or suffer catastrophic failure. One where you don’t have to worry that the CEO is sleeping with his secretary. We will recommend a safe security later in the presentation. The market moves on news! For example, in 2008, the USA market lost 7% in one day when it appeared that the US might default on its government bonds. 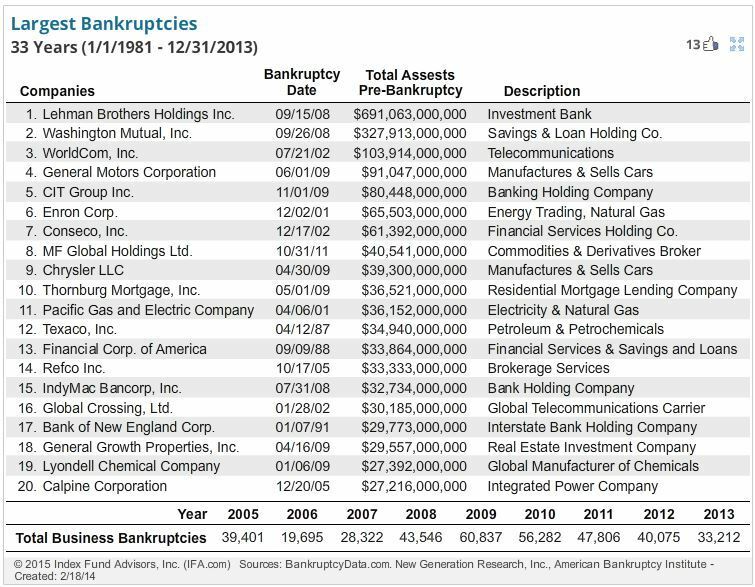 The entire market suffered large losses when it appeared that Greece would have to declare bankruptcy, etc. The market fell 600 points when England announced they were leaving the EU. All of these loses were more than recovered. Anyone selling on the bad news lost money. The market goes up, the market goes down. The market goes more up (67%) than down (33%). The intelligent long-term investor looks to survive bubbles, and shuns the greedy pursuit of transitory gains. There is only one investment strategy that works for the long term (that’s you) investor; it is the strategy of “Buy and Hold“. History is On Your Side shows that no matter how severe the loss, the market always recovers and moves up. Every investor in the world believes this to be true, otherwise NO ONE WOULD INVEST! No one would buy a stock if they didn’t think it would appreciate in value. The “Buy and Hold” approach allows you to sleep at night. Knowing that you are not going to sell your portfolio, even when the market is tanking, allows you sleep at night and have sweet dreams instead of nightmares. This is so because you know the market will eventually turn around. We at Investing For Retirement™ guarantee that if you buy and hold our recommended security, you WILL Buy Low, Sell High! Here’s What Happens to Those Who Don’t Buy and HOLD! Technique: Investor buys and sells based on what s/he thinks the market will do in near future. 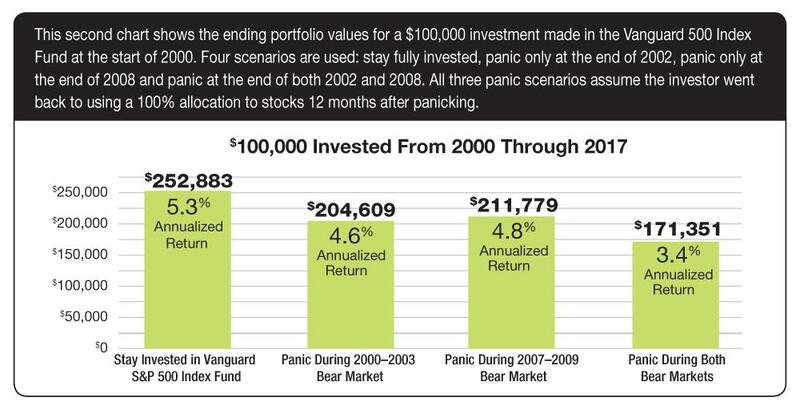 So, in the down periods mentioned above, the Market Timing investor would have sold everything. The problem is …. when to buy back in. Problem: IT DOESN’T WORK. No one can consistently, over time, buy and sell at just the right times. Stock prices are moved by news, and news is unpredictable and random in nature. The movements of stock prices are unpredictable and random. When you can’t stand to see the value of your portfolio go down any further. It’s not easy to know when to get back in. Market is up 2 %= BUY, whoops market goes down 4% = SELL…. repeat 4 or 5 times as necessary. This is called being “whipsawed” You WILL be whipsawed if you attempt to time the market. As the chart below shows, if you were out of the market on certain days (because you are trying to time the market, your portfolio would suffer. Even if you rightly time the market and avoid the worst days, you are then left with the agonizing decision of when to get back into the market. You need to know yourself and your limitations when investing. 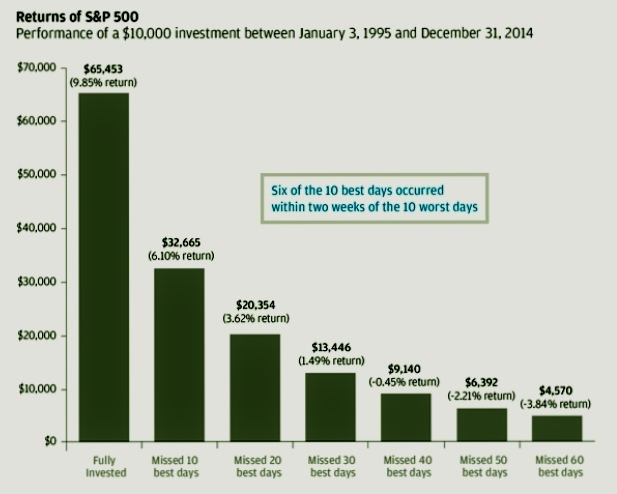 NOTE: Six of the 10 best days during the stated time period occurred within two weeks of the 10 worst days. For excellent support of this conclusion see this excellent exposé of market timing. Technique: Investor picks certain stocks which s/he thinks will outperform the “the market”, e.g. the S&P 500. Problem; IT DOESN’T WORK. No one can consistently, over time, pick stocks that outperform the S&P 500. Stock prices are moved by news, and news is unpredictable and random in nature. The movements of stock prices are unpredictable and random. What would have prevented you from picking Lehman Brothers, WorldCom, GM or Enron for your portfolio? For excellent support of this conclusion see this excellent exposé of stock picking. On the other hand, the performance of the recent (2014-2017) stock market, you see that 10 momentum stocks have been responsible for most of the recent gains. Alphabet (GOOG, GOOGL), Amazon.com (AMZN), Apple (AAPL), eBay (EBAY), Facebook (FB), Microsoft Corp. (MSFT), Netflix (NFLX), Priceline (PCLN), Salesforce (CRM) and Starbucks Corp. (SBUX) have gained an average of 29 percent in 2017 and have contributed almost a third of the total index return since the end of 2014. Do you want to bet that those 10 stocks will still be driving the market 15-20+ years from now? No you don’t. VTI has a heavy concentration of those stocks and will continue to heavily weight the portfolio toward the current market drivers. Stick with VTI and you don’t have to keep track of who’s on top. One fund on our buy list is AllianzGI Technology Fund (DGTNX), which has returned 34.9% so far this year and has an annualized five-year return of 20%. It has a current expense ratio of 1.57%, which has been reduced each year since 2009. Top holdings include Tesla Motors TSLA -1.62%, Google GOOG -0.17%, Cisco, Yelp YELP +5.23% and Alcatel-Lucent ALU -0.24%. On the date of the article, 11/01/2011, AllianzGI was selling for 59.14 a share. As of today, it isn’t even available! It appears that Alliance is no longer available. It is not listed as a fund that can be purchased. “Another one of our buy rated funds is Oakmark International Small Cap (OAKEX). It has returned 35.3% this year and has a five-year return of 20.3%. OAKEX has an expense ratio of 1.41%. Its top five holdings are Julius Bear Gruppe AG, Atea ASA, Altran Technologies, Goodman Fielder Limited and Alten. On the date of the article, 11/01/2011, Oakmark was selling for 12.39 a share. On 11/25/2017 it was selling for 17.66 a share! A 47% gain in 6+ years; but compared to the S&P 500 gain of 107% the professional recommendation looks pretty weak. Ignore all the market advice. What are you supposed to do with those recommendations? If you do what is suggested; run out and acquire AllianzGI or Oakmark or both, you will be “chasing performance”; a guaranteed losing strategy. What will you do a month from now when you read about another (better?) opportunity? Technique: Investor picks certain mutual funds which s/he thinks will outperform the Dow based on the previous success of the manager of the fund. A form of “manager picking” is subscribing to a “recommending service” that contains periodic recommendations. Problem; IT DOESN’T WORK. No one, not even professional fund managers, can consistently, over time, pick stocks that outperform the Dow. Stock prices are moved by news, and news is unpredictable and random in nature. For excellent support of this conclusion see this excellent exposé of manager picking. Technique: “For the long term, especially for conservative investors approaching or in retirement, a value orientation is the best approach” says Lewis Walker, CFP, is president of Walker Capital Management, LCC in Peachtree Corners, Ga. Value investors and value-centered money managers seek stocks of companies that they believe the market has mispriced or undervalued. Advice from CheatSheat. Problem: Just how does a neophyte investor go about identifying companies that “THEY BELIEVE” the market has mispriced or undervalued? A few can really do this. Most can’t. It’s obvious from the above, that professional investors can’t either. JP Morgan has a very impressive, persuasive presentation about the value of “Value Investing“. Read the OIEIX Fund Brochure. Just Do It! Do It! Click on the brochure link. Here it is again OIEIX Fund Brochure. The brochure is so persuasive that if you didn’t know better, you would jump on board. But the performance of their recommended fund, JPMorgan Equity Income Fund (OIEIX) is far below that of the fund recommended by IFR, Vanguard’s Total Market Index Fund (VTI). And… by the way, the fund comes with a 5.25% front end load. Only $94.75 of the $100 you give JP Morgan actually goes towards buying the fund! Here is the comparison chart. The blue line i s VTI. Who Can Identify “Value Securities”? In the book, “The Big Short: Inside the Doomsday Machine”, Michael Burry is identified as one of the few persons who would take the time to dissect a subprime mortgage bond prospectus. Michael Burry also had Asperger’s disease. Only someone who has Asperger’s would read a subprime mortgage bond prospectus. That’s the level of dedication it takes to find those financial instruments that the market “has mispriced or undervalued”. How do you know when you have found one of the few managers that can do that? Well their returns should be consistently well above average, year after year after year then shouldn’t they? There are none of those extant. For the Investing For Retirement investor, there is no strategy other than Buy and Hold. If you don’t buy and hold VTI then the guarantee that you will “Buy Low, Sell High” is voided.